$BVTK Update. I'm Now up over $30,000 since my $BVTK ALERT 3 Months ago. Sub Penny $BVTK Mega News and Filings Immanent! My posts are simply my opinion and not to be misconstrued as investment advice. We’ve all seen the hilarious poopy pants comments. We’ve all seen the dropped hints about equity investors, and billionaire friends, and the suggestion that we hold onto our seatbelts. But this is a pink sheet subpenny stock, so we discount it, massively. We trade for small percentage gains, and we are grateful to make that, rather than lose it all. Business as usual on the OTC. But what if it isn’t business as usual? What if something massive really is coming to BVTK, and soon? How could it happen? And how soon? On June 12, Tom made his ‘hold onto your seatbelts’ tweet, without explanation, and then didn’t appear to follow through. Subsequent inquiries from several sources have produced responses about lawyers, and stakeholders, and coming soon. Meanwhile, we’re also waiting for financials. Which have also now been coming soon for a while, but which are, apparently, per several tweets from third parties, with the auditors. 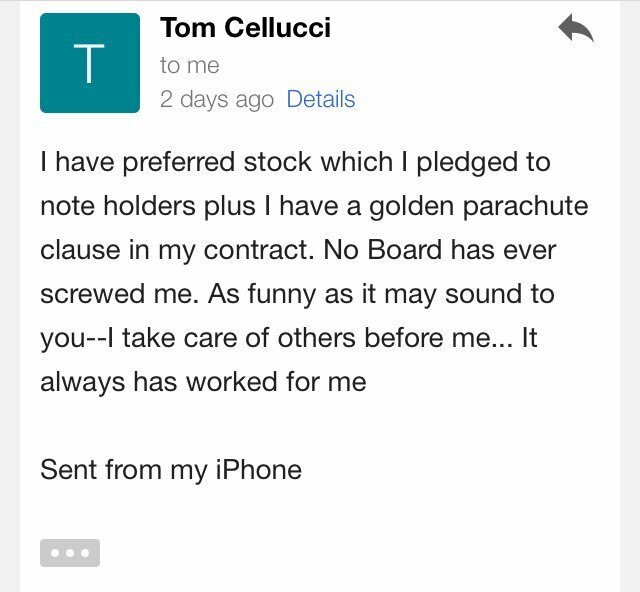 The easy assumption is that Tom expected financials to be done already, and was expecting to release news soon thereafter, to make sure the company was current before news was released. That’s probably partly correct. It’s also reasonable to assume that the final details of their contract negotiations are a little more involved and taking a little more time than he’s letting on. So it’s probably a little of one, and a little of the other. But what kind of contract can suddenly produce such huge news and revenues that the CEO of a publicly held company would state that people will poop themselves? The whitelist-only email server with always-on encryption and antivirus is a brilliant combination of technologies. But the company is waiting for customers to start buying. Some of those purchases may be huge (hello, they’re in discussions with the U.S. military, and at least a few F1000 companies), but they are also almost certainly not final yet. There’s a long demo, trial, and decision-making process for organizations of this size to acquire major software… and a replacement email server is very major indeed. It’s not the sort of thing that Tom can predict with 100% certainty either. That kind of decision takes time. So what about Item 2? Viking telecom was a relatively small organization until very recently. Then, this spring / summer, they hired a rockstar project manager, and signed funding/profit allocation agreements with an additional 2 companies in virtually the same business. If you read the description of those agreements, it makes the companies very nearly subsidiaries. Independent, still, but contractually bound to allocate most of their revenue to Bravatek/Viking, while Bravatek/Viking provides funding and manages the difficult task of getting projects. Revenues are projected to be at least a few million for each deal, per annum. I believe this is the seed, and foreshadows, a much larger version of the same business model that is about to be revealed. Bear in mind that Tom has been tweeting for over a month about his multiple meetings with high-dollar equity investors. What on earth for? He doesn’t need high dollar equity investors for the email server part of the business. That has already been developed, and is just starting to get major customer interest. It will sell without millions in equity infusions. Likewise, we’re all excited about the hints Tom has dropped about being on NASDAQ sooner than we expect, and his billionaire friend and investment funds, etc. Some assume that the high-net-worth individuals are going to buy up shares on the open market, themselves; others understand that this wouldn’t require negotiations with the company, and doesn’t provide the company any cash for future projects. No, the equity investors will expect either preferred or restricted shares for their investment, and they won’t provide the cash for growth or a buyback out of charity; they expect a major return on their investment. And not just a return due to a buyback using their cash. If they wanted to run up the stock price they could damn well do that themselves. Probably any one of them could run up the stock price to 10 cents in a matter of days if they really wanted. So what kind of major return on investment can a company with a small telecom tower service operation provide to gigantic equity investors? Simple: they buy into a MAJOR telecom tower service operation (or perhaps two, given Tom’s communications about there being two major deals now) using the equity investors’s money, and the know-how and familiarity of their existing telecom services staff. These major tower service operations will already have major revenue, but might be regionally constrained, or might not have the cash to outcompete or acquire their larger competitors. Enter a public company with a large group of equity investors looking over its shoulders. They can make acquisitions, or provide funding for expansion, and do it all secure in the knowledge that they will make money because the companies they are acquiring are ALREADY making money. And I wouldn't be surprised if the deal is very similar to the ones we've already seen, funding, projects, and organization in exchange for majority revenue share. Let’s take a moment for a brief introduction to one aspect of the telecom tower industry: collocation service companies. A long time ago, in a galaxy far, far away, telecom companies all built and operated their own towers. (Or contracted companies to put the towers up for them.) But that quickly revealed itself to be expensive and inefficient. It takes time and money to put up a tower. And if each company is putting up its own towers, then there may be almost half a dozen towers covering the same area, when all that is needed is one, with ALL the telecom company’s equipment up on it. So the business rapidly changed. The telecom companies started selling the towers, and leasing back the space on them to locate their telecom equipment. Thus the term ‘collocation’. The collocation company builds / owns / maintains the towers, and leases the space on the towers to the telecom company. Maybe they also perform equipment maintenance and upgrades. Or maybe they hire subcontractors like Viking to do the actual equipment maintenance, and upgrades. Their choice. Meanwhile, the major wireless telecom company bills wireless customers, manages the network, and pays their subcontractors and collocation companies regularly to keep their towers operational. The cost of the lease becomes a clear business expense, meaning it can probably be deducted from federal taxable revenues. I’d hazard a guess that this tweet meant that an agreement in principle had been made regarding the above JV stake. But of course it’s a long way from an agreement in principle to a final contract, and the execution of the same, so we’re still waiting for that news to drop. Look up build to suit, and telecommunications, together. The reading gets very interesting. So how big is the telecom services, build to suit, and collocation industry? A sizeable fraction of the US telecom industry. So owning a tower owner / operator, or partnering with a couple of them, may come with significant revenue, if the money involved is significant enough to worry the major telecom companies enough that they are trying to renegotiate existing leases. If Tom is able to strike deals with a few mid-sized private tower site operators for funding and revenue sharing, at even a fraction of the above revenue numbers, we could see a very large share price appreciation VERY QUICKLY. And if the plan is to keep making these deals until BVTK controls a nationwide cell-site development company on the order of the above public REITs? The sky is the limit! But how can a sub penny stock make those kinds of major deals? Again, this is where the equity investors come in. They will most likely be providing funds SPECIFICALLY to acquire or partner with existing private cell-site operators, SPECIFICALLY for the virtually-guaranteed revenue they provide. 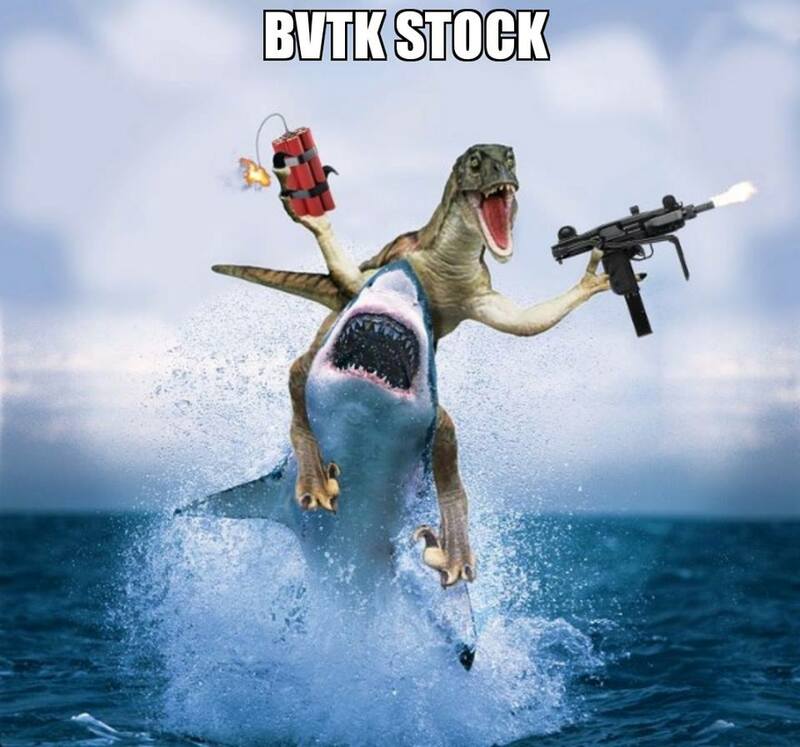 As those revenue numbers are released (and depending on who Bravatek is partnering with they could range from a few million to several hundred million), the BVTK stock price will appreciate dramatically, and be supported by massive public interest. THAT’S what is attracting the equity investors. They’ll be in for a few years at least, during which the stock price will continue to grow, and they will count their preferred or restricted stock as an asset. And they really won’t be in any rush to sell. Announces finalized JV agreements with private telecom site operators (another set of stakeholders). I seriously doubt 3 happens without 2, since it’s ultimately all about the money for the telecom site operators, who probably need cash to expand; and it’s likely that 2 can’t happen without 1, since many of these large equity investors will have stringent requirements for documentation and being current. So, yes, we’re probably all waiting on financials, and the auditors. Tom is probably as impatient as the rest of us. And if the rumors that they could be released as soon as this coming week are true, well, watch out. I don’t know how much longer it will take Cellucci to get all his ducks in a row, but once he does, it really could be explosive. Know what you own, folks, and hold on for dear life. Hi Bro, Wow you have been here awhile. I just found you today. I am working on my Introduction post. I highly recommend you get yours done asap. You will make higher rewards, I just found out. Glad to have found you here Shaun, look at my wallet amount... not much but I am buying 50k worth asap. You should to and then lease out STEEM at 22% without having to sell it. Hi Shaun, I was able to buy 4500 STEEM at $1 last night on Bittrex. I will be depositing it asap into healthiswealth account. Did I not say BTC was going to drop to $3000, accually went down to $2900. nice short ralley right now. Within a day or two we will see it drop down to about $2000, make sure to buy some then. I will buy more STEEM at about 75 cents.